A Google phone for the masses. At long last. Nothing like the enigmatic Nexus, drip-fed through the Play Store, attractively priced but hard-to-get. OK, go ahead and call the Moto G the poor man's Nexus. Just don't call it cheap. For what it has to offer, this phone is beyond cheap - but doesn't look it. And definitely doesn't act like one, for the most part. Bottom line, it's the Nexus 7 of smartphones - perhaps even better. Why and how Motorola can charge so little for the Moto G is not that hard of a question really, but it's not one you should be bothered with. Whether it's worth it is even easier - we mean, a 720p screen and Snapdragon 400 at well less than €200 is a steal. And there's a KitKat update on the way. The limited storage is the obvious flipside, aggravated by the lack of an expansion slot. It renders the phone almost useless as a medial playback device and not too great for gaming either - not with titles with larger footprint anyway. OK, Google wants your stuff up there in the cloud, and the free 50GB of Google Drive are some consolation. 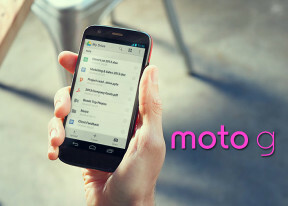 By giving up immediate cash profits off the Moto G, Google is trying to win on two fronts - tying more and more users into its services and making Motorola relevant again. The second point is perhaps a preparation for some day when Google decides to really get behind the brand it owns and, for a change, stop outsourcing its flagships. For now it seems like it's working. Once a household name for overdesigned hardware and excess of bloatware, Motorola is now linked to two devices people are talking about and loving as well. So, let's look at the Moto G - easy to spot in a crowd of budget droids and basic Lumias, which make the bulk of devices in the price bracket - and certainly watched with suspicion bordering on fear by the so-called upper-midrangers. All well-deserved by the way. Business reason says that price-wise the Moto G should've been pitted against the likes of the Samsung Galaxy S4 mini, the Sony Xperia SP, the Nexus 4 and the previous generation of flagships such as the Samsung Galaxy SIII. Except that it isn't. It's cheaper. But the amazing thing is it can actually stand such a comparison. Yet, with that unbelievable price tag, it's getting ready to walk all over the cheap droids and Windows-powered smartphones. The Nokia Lumia 625 is the most economical alternative the competition has at this screen size and price. It somewhat matches the Moto G's level of equipment, too. It's got a lower-res, but bigger screen plus a camera that's capable of recording 1080p clips. Plus, it's also got LTE support. 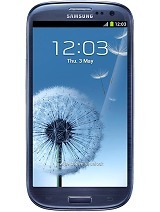 Proper, full-size Android smartphones that deliver nice user experience start out at around 200 euro. And you certainly can't find many 4.5-inch smartphones at this price point, let alone one with a 720p screen. So the Moto G is priced amazingly competitive. The only other smartphone that comes close in hardware specs at this price point is the Acer Liquid E2. The Acer Liquid E2 costs less than 185 euro and has an IPS LCD display of the same size, albeit at a lower resolution of 540 x 960 px. Still, the Liquid E2 does 8MP stills and has expandable storage. With pretty solid back-mounted stereo speakers and optional dual-SIM support the Acer is a nice option to consider. Still, while being a popular computer manufacturer, Acer is still not among the major Android smartphone manufacturers in terms of sales and they've yet to rack up a track record of delivering timely Android updates to its products. Beside those, all other competitors to the Moto G in the price range are severely under-specc'd and as we mentioned above, to find matching smartphones by the other major manufacturers you would have to look up the pricelist somewhere in the region of around 250 euro. Only there can you find other phones that deliver similar hardware equipment, such as the Sony Xperia T (2012, 4.55-inch, 720p, 13MP camera+1080p video) or the Sony Xperia SP (2013, 4.6-inch, 720p, 8MP camera+1080p video, LTE). There is also the LG Optimus L9 II (2013, 4.7-inch, 720p IPS LCD, 8MP camera+1080p video) or you can go for the Samsung Galaxy S III (2012, 4.7-inch, 720p SuperAMOLED, 8MP camera+1080p video). All of those sell for around 260 euro or less and you can probably find a nice deal for some of them with your carrier. Still, they remain good 50 euro more expensive than the Moto G and so far, none of those comes with a promise for an upcoming software upgrade to Android 4.4 KitKat, let alone one coming next month. 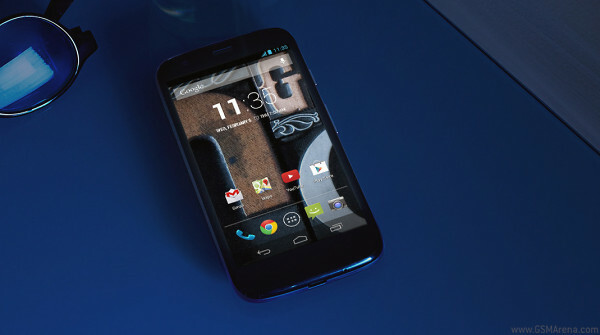 There's no two ways about it, it's near impossible to match the Moto G's bang for the buck. The screen, the overall performance, the OS updates. One thing to note perhaps is that the almost pure Google Android may not be everyone's cup of tea - especially considering that the bulk of upgraders will have had at least some experience with the more functional TouchWiz, Optimus UI or Sense. What matters though is that the bump in screen image quality and the overall user experience will be very much felt and appreciated if you own any other Android device in this price range. Yup, most of the time, a healthy dose of suspicion towards new products really makes sense. But the Moto G can make you regret hesitation.